As a regular user of Autodesk product, I am using Navisworks as my main coordination and project review software. 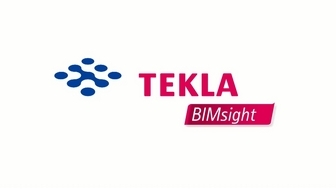 But recently, one of my client ask for BIMSight, a solution developed by Tekla for the project coordination. If I have already try it, I have never had the opportunity to implement it on project scale. I can now share my first impression on this solution. One of the main advantage of Tekla BIMSight is its price. Since it can be downloaded freely on the Tekla website, it can be given to anyone working on the project without bothering about licence fee. Furthermore, it is largely user-friendly, and can be used by anyone, even without a training phase. Possibilities for input format are pretty limited, since it can only import DWG and IFC files, but these formats are enough for most situations. Tekla BIMSIght provide pretty good clash detection features, with most of the usual fonctionnalites : clash statuses, tagging, sorting and grouping, and so on. The presentation of the clash result are also pretty good, but there is no function to export a clash report in PDF or HTML as we have in Navisworks, for example. There is set of tools for creating notes that save a viewpoint in the model. Once done, you can add comments and markups on this view or link objects to this viewpoint. 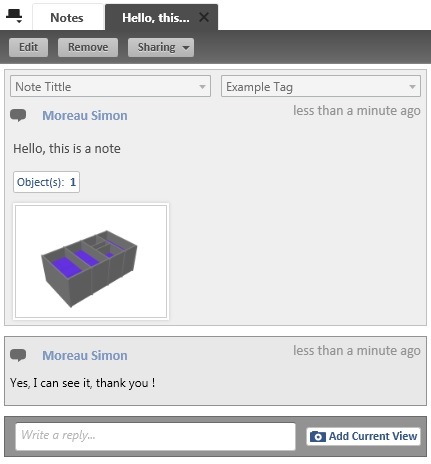 BIMsight provide also the ability for different users to respond to comments and keep an history of these responses. One of the most interesting part of these notes is the possibility to export them in the BCF format, in order to be able to import them in another software. This functionnality can be really powerfull, and I will describe it more precisely in a future post. Finally, I am quite impress by BIMSight. Tekla manage to provide a fully functional model review solution without even make us pay for it, which is pretty remarkable is this market.